SMS Towage’s 50tbp harbour/offshore tug “Welshman” sailed from Immingham on the 13th of December 2014 to collect the Stema Barge 2 from the South East coast of the UK and tow her to Newcastle, River Tyne. The 135 x 42m barge (5m draft / 31,510 dwt) had completed operations offshore Dymchurch and was anchored approx 2nm south of Rye Harbour. 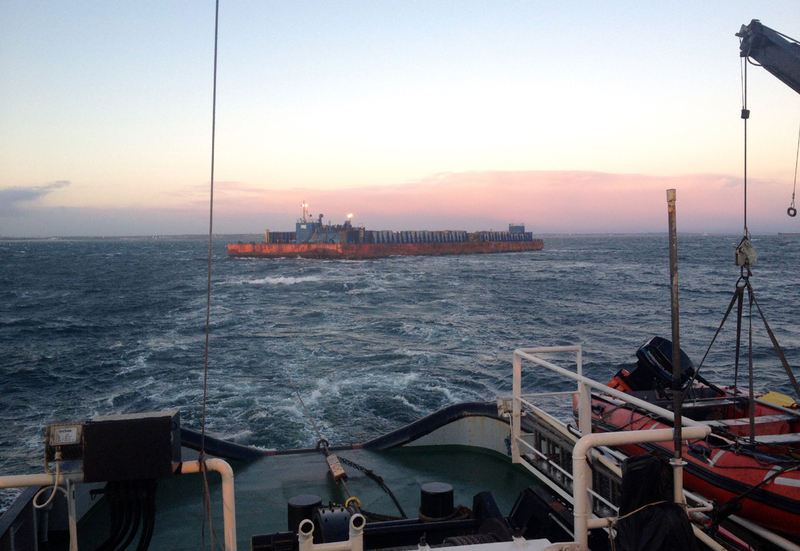 Despite persistent poor weather (S/SW 7-8) the Welshman and her experienced crew were able to get connected and commence passage with the convoy arriving safely and without incident into Newcastle on the 19th of December 2014.